When you come home from work, the last thing you want to have to worry about is maintaining your car. That's why so many people trust mechanics to do the work under the hood for them. As for whom you should trust with such a lofty task? Finding a reputable mechanic can be hard. That is, of course, unless you simply turn to Mercedes-Benz of Modesto, serving Modesto, Stockton, Turlock, Manteca and Ceres. 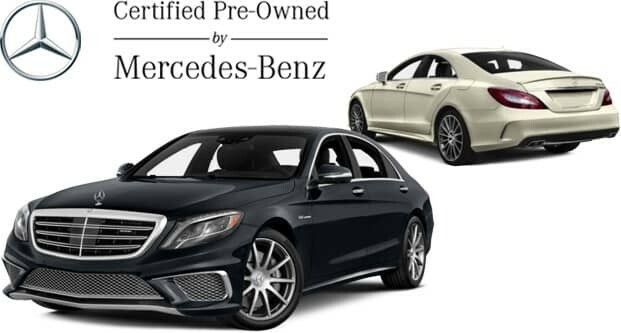 Beyond assurance of a painstaking certification process and 24-hour Roadside Assistance, every Certified Pre-Owned Mercedes-Benz now comes with industry-leading coverage: an unlimited-mileage warranty for one year that can be extended for up to two additional years. We always say here at Mercedes-Benz of Modesto that the only thing better than inspecting and experiencing that new car smell on a new Mercedes-Benz C-Class, Mercedes-Benz GLA, Mercedes-Benz E-Class, Mercedes-Benz Sprinter or Mercedes-Benz GLC is to test it out on the road. Our highly knowledgeable and supremely friendly staff will help you work through all aspects of any model that is of interest to you, so you will feel completely, 100% informed when it comes times to make a decision. Of course, a new car might not be in the cards for everyone at this very moment. 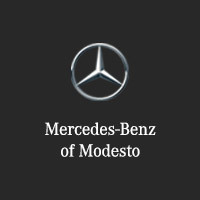 That’s why Mercedes-Benz of Modesto also makes sure to carry a wide range of used cars to choose from as well. Thoroughly inspected for quality and integrity, you can be sure that each one meets our incredibly high standards for excellence. Why should you expect anything less? You don’t have to fret about auto financing in Modesto. That’s because our car loan and Mercedes-Benz specialists want to help you reach your goal: to drive home in the vehicle you desire. Mercedes-Benz of Modesto takes the time to explain all the details, making sure you understand every comfort, safety and entertainment feature (there are many!). It’s part of our job; but also, we enjoy helping turn dreams into reality. In order to ensure your complete satisfaction (even long after you’ve driven home your new car) Mercedes-Benz of Modesto staffs an onsite auto service and repair department that proudly serves drivers from Modesto, Stockton, Turlock, Manteca and Ceres. Thoroughly trained inside and out to know your Mercedes-Benz C-Class, Mercedes-Benz GLA, Mercedes-Benz E-Class, Mercedes-Benz Sprinter or Mercedes-Benz GLC, our technicians are provided only certified Mercedes-Benz parts when making repairs, ensuring your car runs as efficiently as the day you first took a seat behind the wheel. Now that you know everything Mercedes-Benz of Modesto has to offer, chances are you’ll want to actually see it for yourself. If so, come see us at 3900 McHenry Ave in Modesto, CA. Our team will be more than happy to show you around, set up a test drive, talk finance, order parts or schedule your next service appointment.